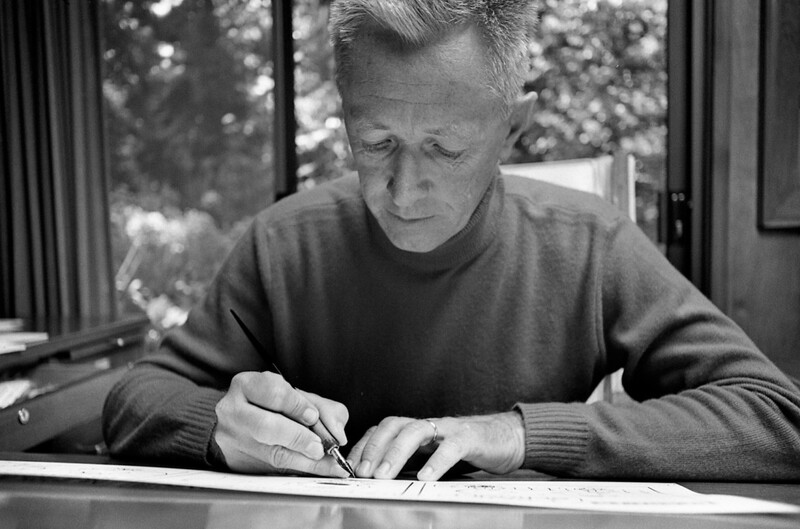 Charles M. Schulz (1922–2000) drew 17,897 Peanuts comic strips between 1950 and 2000. 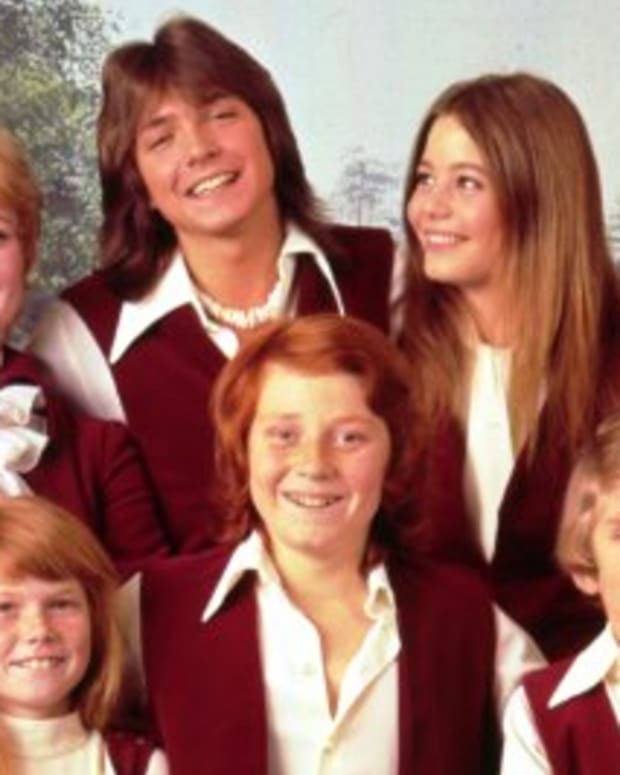 What started out in just seven newspapers ultimately grew into a worldwide phenomenon. At its height, Peanuts was published in 2,600 newspapers and 75 countries. In addition, the comic strip has now been translated in over 25 languages. 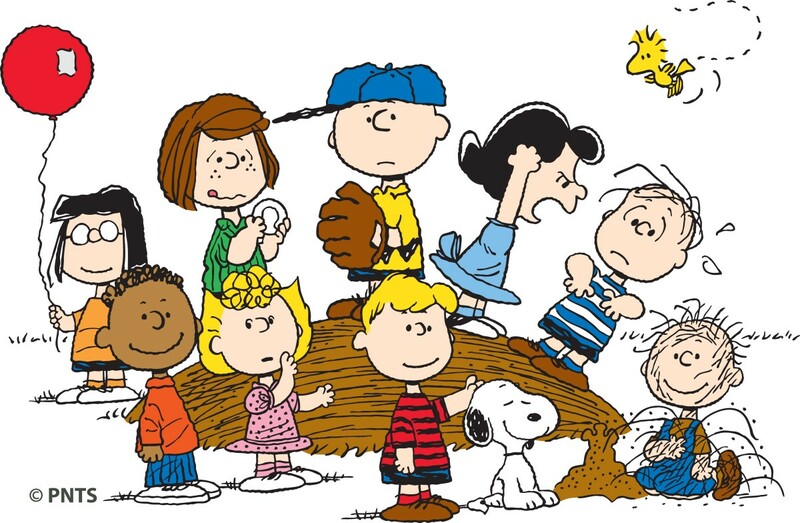 Starting with the first Peanuts cartoons for television, animated classics were born, including A Charlie Brown Christmas, which celebrates the 50th anniversary of its first broadcast this December; It’s The Great Pumpkin, Charlie Brown, and A Charlie Brown Thanksgiving. Snoopy and friends have also seen themselves transformed into a seemingly endless array of plush toys, clothes, knick-knacks, and collectibles. Most will agree that Schulz’s Peanuts is one of the most enduring and influential comic strips ever created⎯not bad for a man who insisted he was “just an ordinary person from the Midwest” drawing funny pictures. Here are some things you might not know about him. 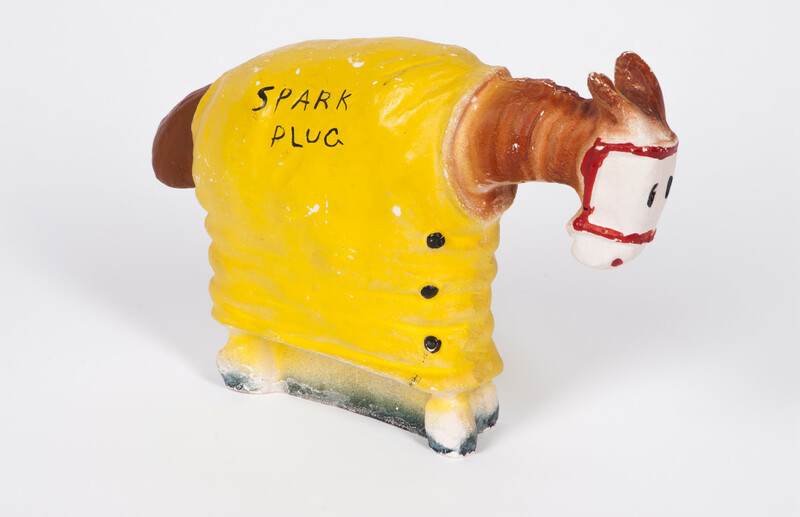 Spark Plug figurine, 1930s, Photo by D.J. 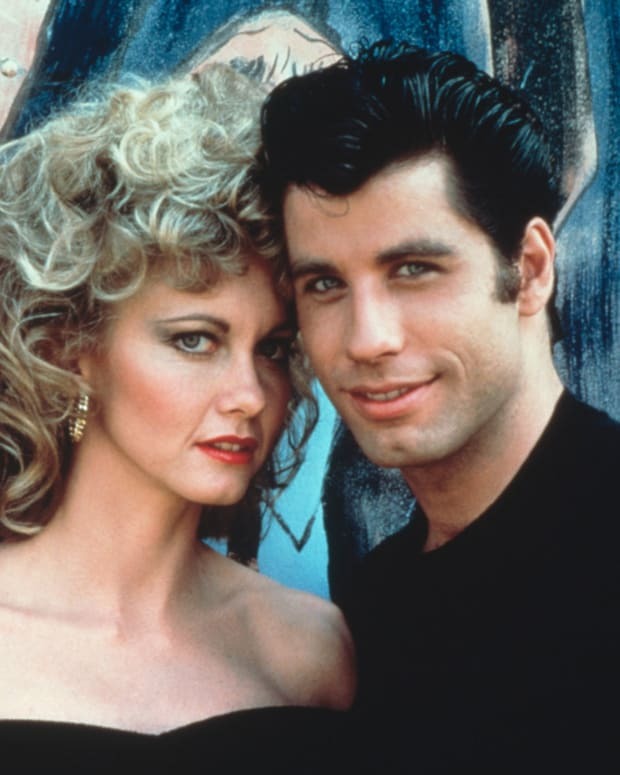 Ashton. Unless otherwise noted, all images are courtesy of the Charles M. Schulz Museum and Research Center, Santa Rosa, California. Article text © Charles Schulz Museum and Research Center. Charles M. Schulz, Peanuts, May 14, 1953, ©Peanuts Worldwide, LLC. Courtesy of the Charles M. Schulz Museum and Research Center. In the 1930s, Schulz responded to an advertisement for an art school that offered students an opportunity to complete lessons by mail. In the book Peanuts Jubilee, he wrote, “During my senior year of high school, my mother showed me an ad that read ‘Do you like to draw? 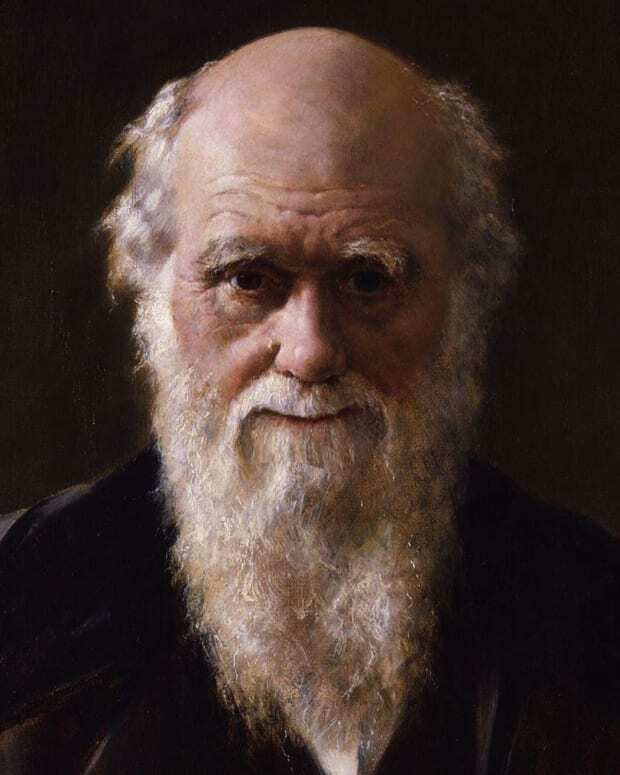 Send in for our free talent test.’ This was my introduction to Art Instruction Schools, Inc.” He enrolled in the school, and learned important skills through their coursework. Later on, they hired him as an instructor. 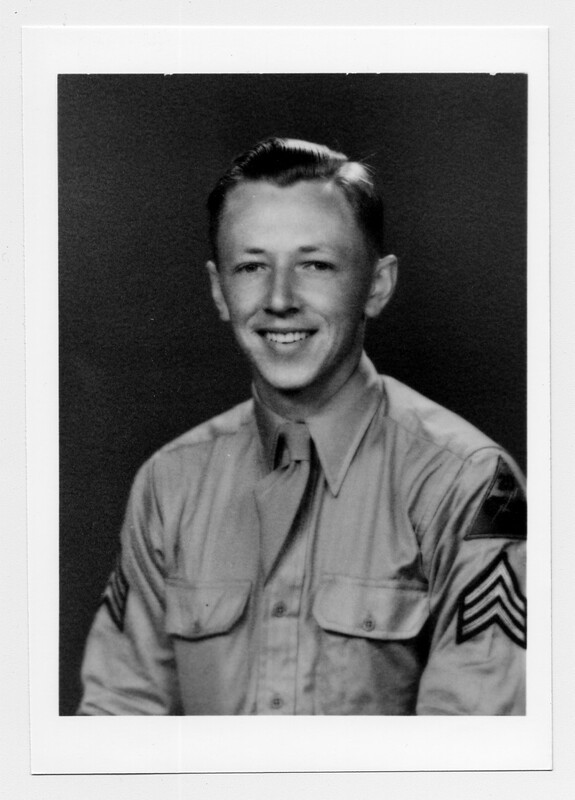 Schulz in his Army uniform, 1943. ©Schulz Family Intellectual Property Trust. Courtesy of the Charles M. Schulz Museum and Research Center. 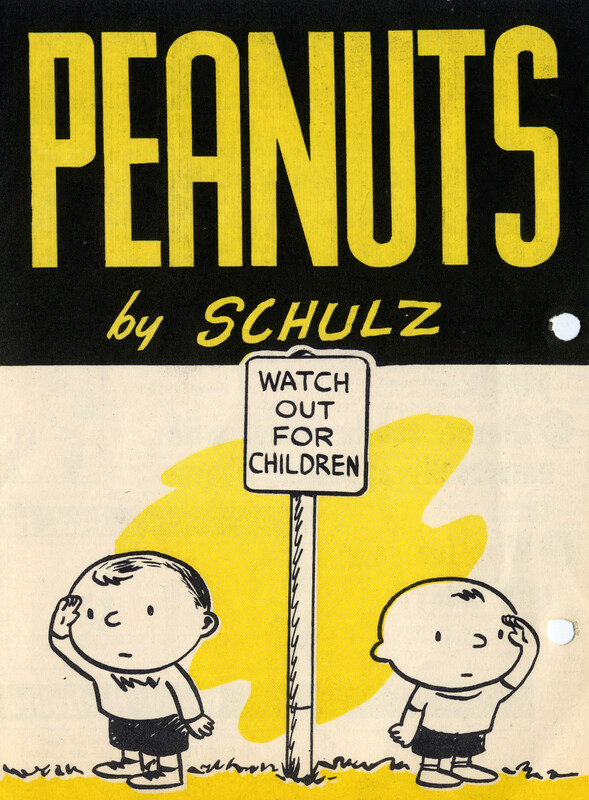 “Peanuts by Schulz,” promotional announcement, 1950, ©Peanuts Worldwide, LLC. Courtesy of the Charles M. Schulz Museum and Research Center. 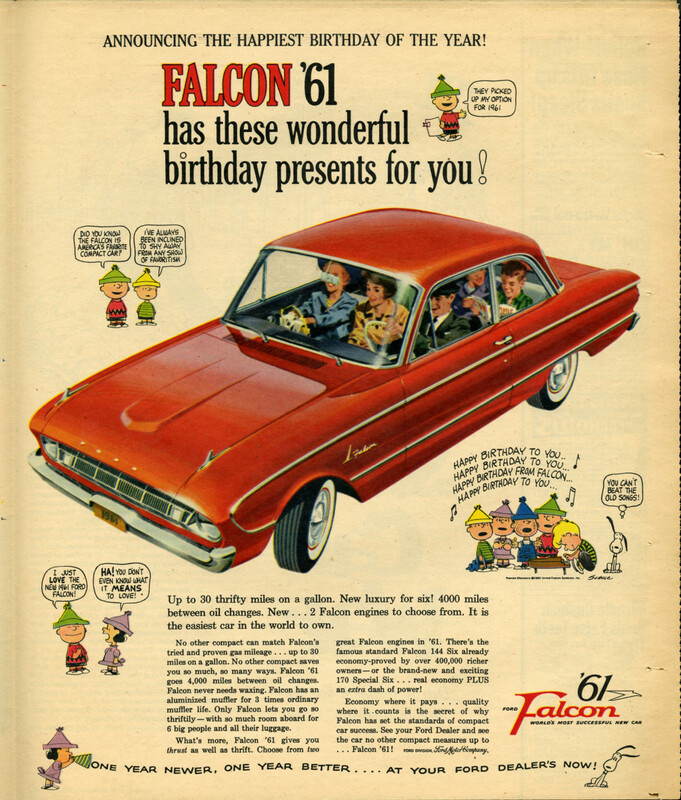 “Falcon ’61,” print advertisement, ©Ford Motor Company, Peanuts Worldwide, LLC. Courtesy of the Charles M. Schulz Museum and Research Center. The history of Peanuts animation traces back to 1960, when the Ford Motor Company featured Charlie Brown and the Gang in television advertisements for the Ford Falcon compact car. 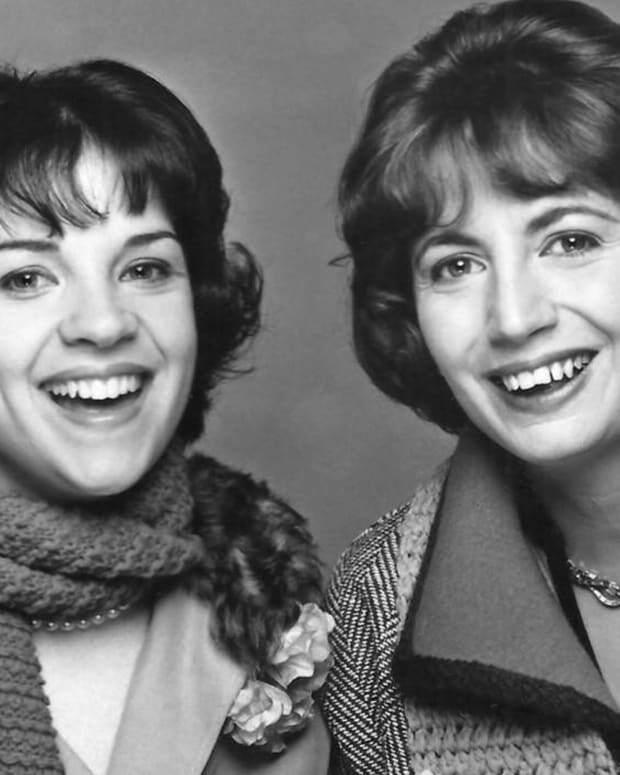 The characters also appeared on the company-sponsored Tennessee Ernie Ford show in connection with the vehicle. These television spots represented the first time that Schulz agreed to animate his characters, pre-dating the earliest Peanuts primetime special, A Charlie Brown Christmas, which debuted in 1965. 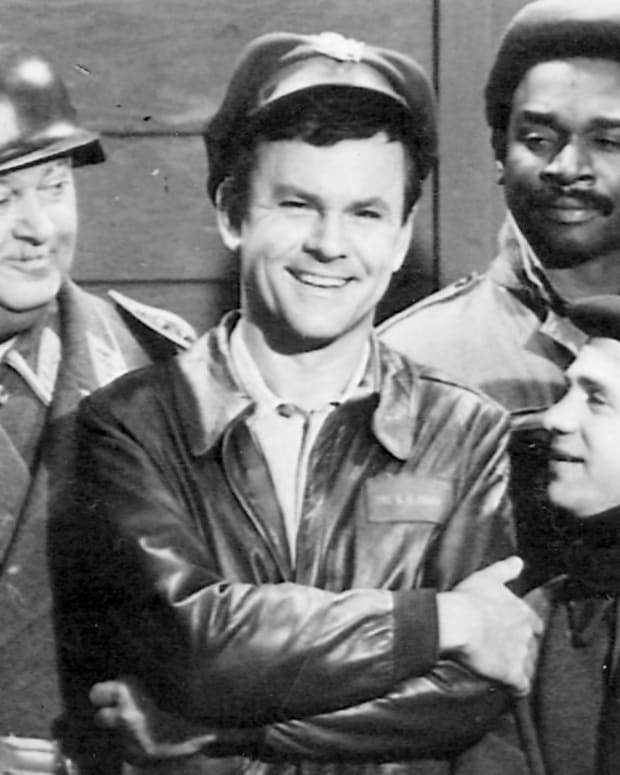 The commercials also marked the beginning of his partnership with animator Bill Melendez, who worked together with Schulz and producer Lee Mendelson on later Peanuts animated cartoons for more than three decades. 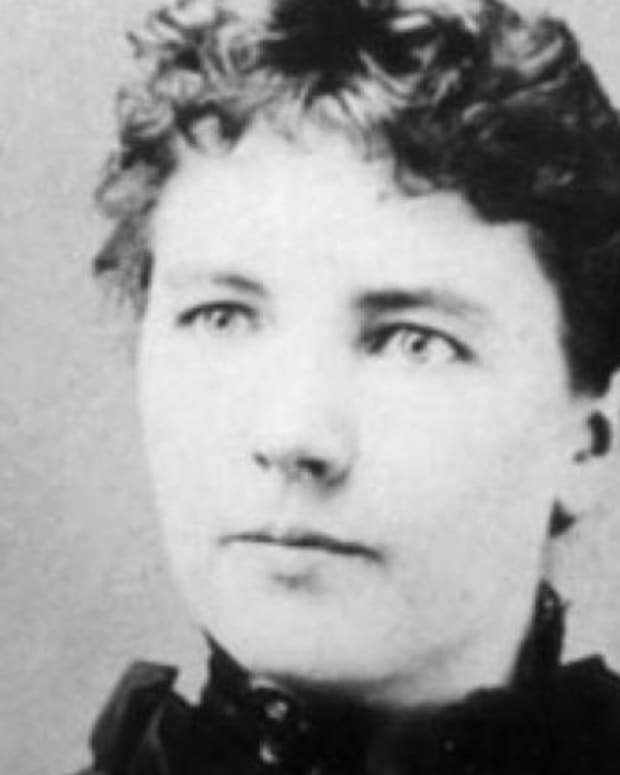 Raised in Minnesota with seasonal wintry weather, Schulz developed an interest in ice sports from an early age. 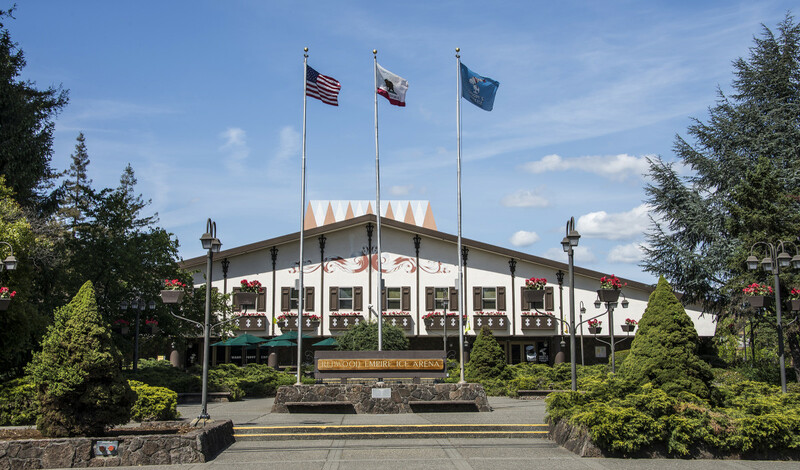 In 1969, he and his first wife, Joyce, opened Redwood Empire Ice Arena (also known as Snoopy’s Home Ice), in Santa Rosa, California. The same plot of land would later hold his studio, as well as his namesake museum. Not only did this give the community a place to ice skate and play hockey, but Schulz also made the arena an annual host venue for an adult summer hockey tournament, with players ranging in age from 40 to over 90. In addition, he produced extraordinary figure skating shows that attracted top names, including Peggy Fleming and Scott Hamilton. Schulz truly held a special place in his heart for the arena⎯he even ate his breakfast and lunch in the café there every day. Charles M. Schulz, Peanuts, December 16, 1988, ©Peanuts Worldwide, LLC. Courtesy of the Charles M. Schulz Museum and Research Center. Most Peanuts fans know that Schroeder’s hero is composer Ludwig van Beethoven. 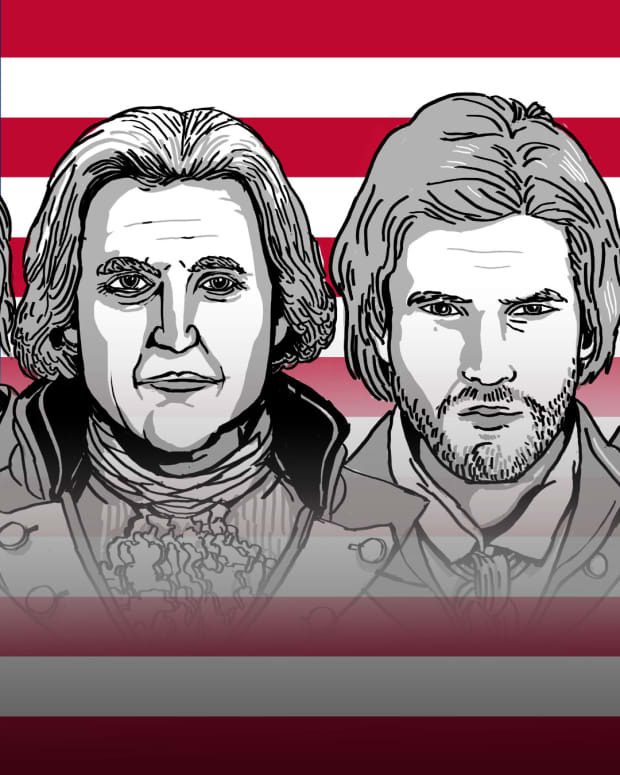 The young cartoon virtuoso goes so far as to celebrate Beethoven’s birthday like a regular holiday. In the 1960s, Schulz organized a real ‘Beethoven’s Birthday Party’ at his home, and shirts were distributed to guests that he illustrated with Beethoven’s likeness. 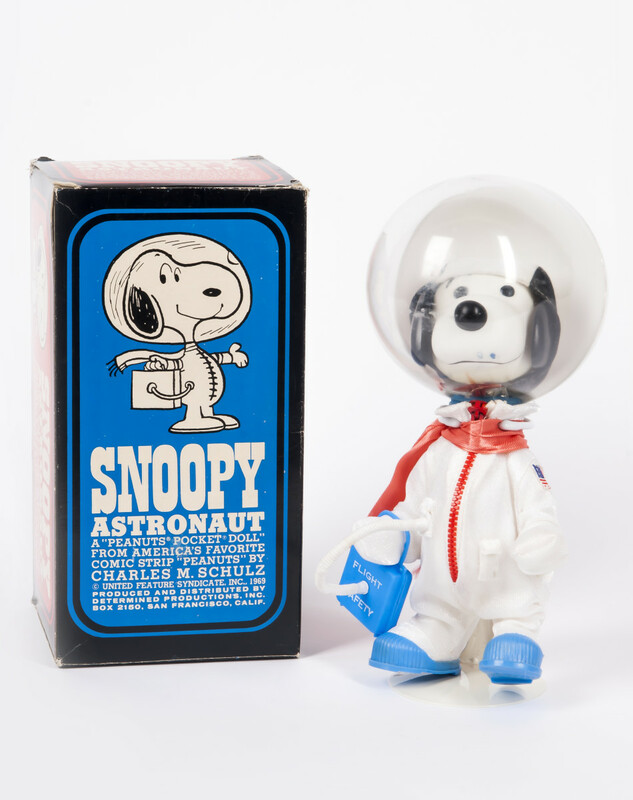 Snoopy Astronaut ‘Pocket Doll,’ Determined Productions, 1969, ©Peanuts Worldwide, LLC. Courtesy of the Charles M. Schulz Museum and Research Center. The Peanuts characters literally reached new heights in 1969, when they traveled into space with NASA astronauts. The Apollo 10 crew named their command module after Charlie Brown, and the lunar module was named after Snoopy. Charles M. Schulz, Peanuts, September 25, 1979, ©Peanuts Worldwide, LLC. Courtesy of the Charles M. Schulz Museum and Research Center. Schulz’s great admiration for tennis star Billie Jean King led to a lifelong interest in the fair treatment of women athletes. They became close friends, and Schulz served on the board of the Women’s Sports Foundation that she founded. Schulz supported advances for women in sports and gave voice to the subject in Peanuts. Schulz at his Drafting Table, 1969, Photo by Tom Vano. ©Jean F. Schulz. Courtesy of the Charles M. Schulz Museum and Research Center. Corry Kanzenberg is Curator of the Charles M. Schulz Museum and Research Center in Santa Rosa, California. 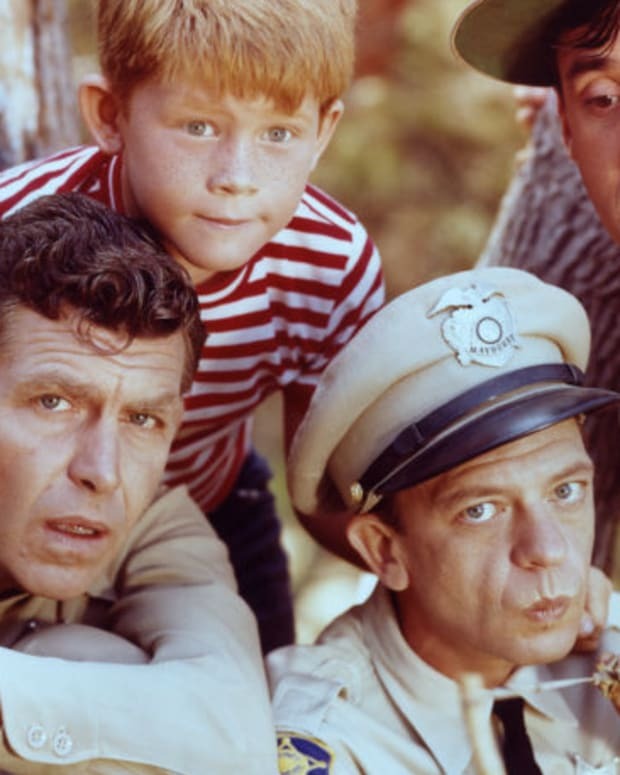 Prior to the Schulz Museum, Corry was the Curator of Archival Collections at the Norman Rockwell Museum in Stockbridge, Massachusetts, and Curator of the National Scouting Museum of the Boy Scouts of America in Irving, Texas. The Charles M. Schulz Museum and Research Center is home to the world’s largest collection of original Peanuts comic strips. Opened in 2002, the Museum presents the work of Charles M. Schulz with exhibitions and programs that build an understanding of cartoon art, illustrate the scope of the artist’s multi-faceted career, and celebrate the stories he communicated to a global audience. Located in the heart of Sonoma County, California, the Museum is uniquely situated in a region known for world-class vineyards, magnificent redwoods, and beautiful ocean vistas. Visit the Museum online at www.schulzmuseum.org, on Facebook, Twitter, YouTube, Instagram. Article text © Charles Schulz Museum and Research Center. 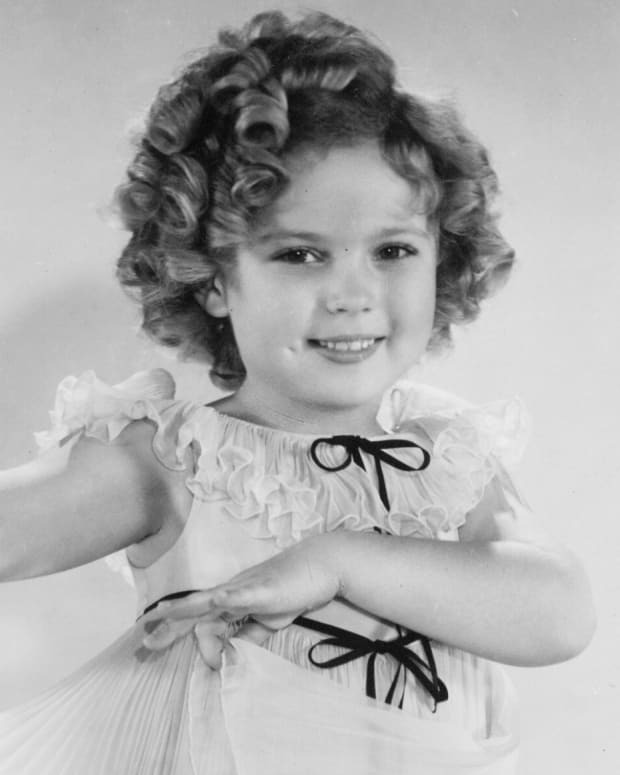 In honor of what would have been Shirley Temple's 88th birthday, we look at seven interesting facts about her life and career.